Periodization is a programming tool where individuals, typically athletes, implement training cycles that take several things into consideration including when peak performance is needed. 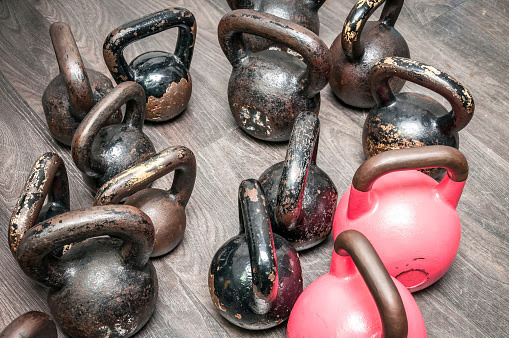 Periodization is an organized and purposeful approach to training that considers both the physical and physiological adaptations that need to occur while reducing the risk of overtraining. Any individual training for an event will benefit from using a periodized approach. Periodization can be broken down into specific training cycles including a macrocycle, mesocycles and microcycles. A macrocycle can last several months to a year and concludes with the competition or competitive phase. Mesocycles are several weeks long and are usually tightly linked to whether the athlete is in their off-season, pre-season or in-season, and the training focus will adjust accordingly. Finally, microcyles make up the mesocycles and they are from several days to two weeks in length, with most microcycles being one week. Mesocycles that are in the off-season will generally focus on activities that are not specific to the sport, while mesocycles in the pre-season adjust their focus toward activities that are more sport-specific. Periodization and the use of the training cycles allow individuals to successfully move from general activities that are not specific to the competition to more sport-specific activities as the competitive event approaches. The goal is for someone to achieve peak performance at the time of the most important competition and the window to maintain peak performance is narrow. Periodization, by nature, does not adhere to a strict linear approach. Both training volume and intensity should be monitored and manipulated so that proper recovery can occur following mesocycles and/or microcycles. With recovery and adjustments to volume and intensity throughout a training cycle, adaptations will occur and the risk of overtraining remains low. Click here to download an example of a periodization schedule. Tapering is a tool that is used to help athletes recover and/or prepare for major competitions. It is the systematic reduction in training prior to a competition, or it can be a planned microcycle that is focused on recovery. When tapering prior to a competition, it is not uncommon to keep the intensity high, but greatly reduce the duration of training sessions. While tapering can enhance performance, care must be taken to not have detraining occur. Detraining is when the training stimulus is reduced to the point that positive adaptations are no longer occurring and the stimulus is not enough to maintain previous adaptations. For individuals who are involved in year-round competitions, such as triathlons, periodization can be challenging. One strategy is to look at all upcoming competitions and rank them by importance in terms of peak performance. Less important events can serve as a higher intensity training day, and training cycles can be built around competitions where peak performance is desired. Regardless of whether it’s a competitive athlete or someone who wants to compete in a local road race, thoughtful and purposeful periodization of training will provide the best approach to achieve the desired peak performance on the day of the most important competitions.